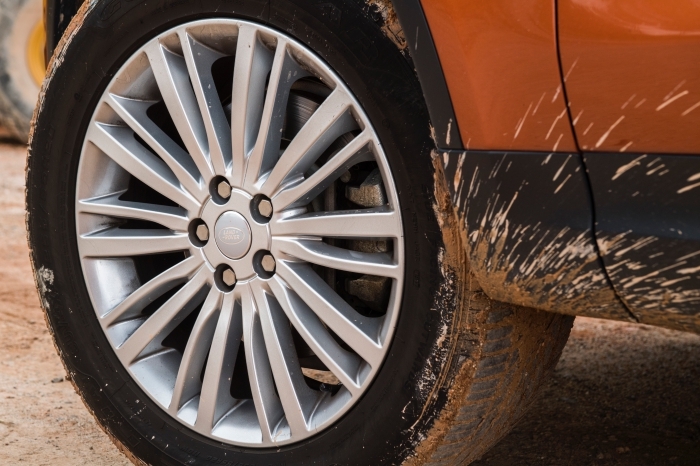 Is the Discovery 5 a ‘lightweight’ when it comes to blazing trails off the beaten path? 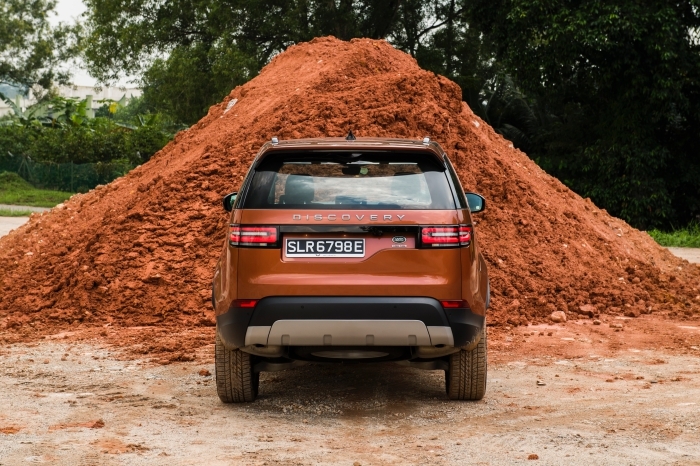 Singapore - We love Discos, and we’re not talking about dodgy Thai ones, although hmmm, those are something of an acquired taste too, just like the cult-favourite Land Rover Discovery. 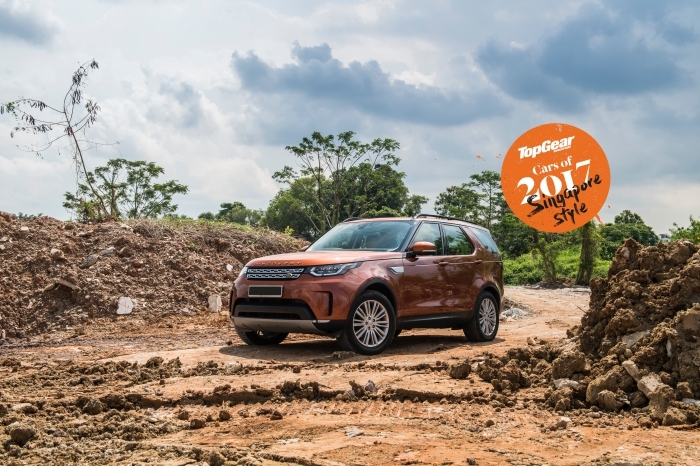 Of course, by ‘Discovery’, we’re referring to the full-fat 4x4 models, not the ‘rebranded’ Discovery Sport – nee Freelander – that has adopted the ‘Discovery’ moniker to bask in some of its big brother’s sunshine. 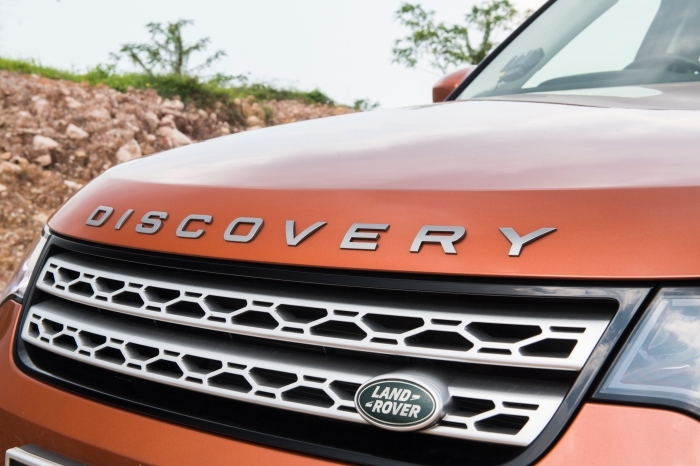 This is the 5th generation of the Discovery – don’t rub your eyes now, that’s no Range Rover. 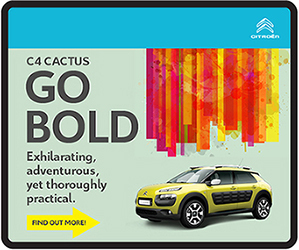 The distinctive anti-fashion, fully-functional set-square aesthetics of every Discovery up to and including the 4 have been succeeded by rounded, organic lines that are almost dare-we-say-it, stylish. 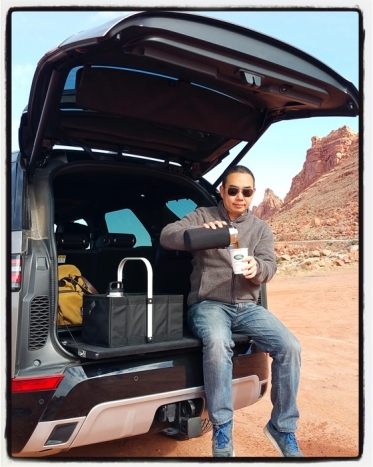 As our expedition in Utah will attest, not by a long shot. 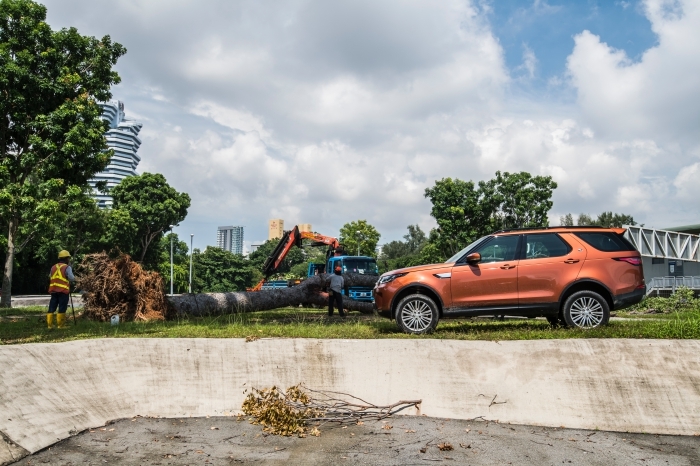 However, the new styling has made the Discovery more palatable to a new breed of buyers, many of whom were turned-off by the earlier models’ styling, or perceived lack thereof. 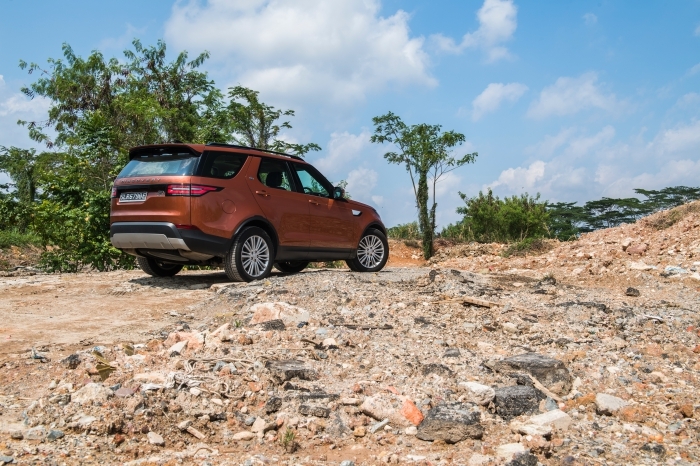 However, the Discovery 5’s trump card is its proper seven-seat capacity (just like the generations before), versus the 5+2 for the Range Rover Sport, so suddenly, the 5 has started to come into focus for the terminally hip, especially with its posh new form and function. 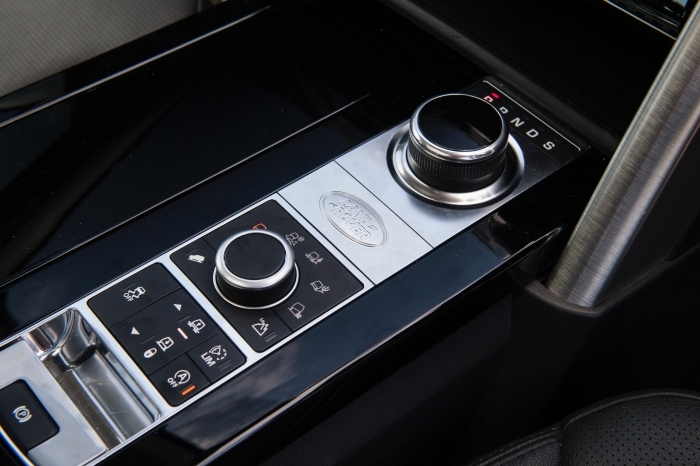 If anything, we reckon that elevating the Disco to close-in on the current Range Rover levels of refinement is a good indication that Range Rover is set to up its game for the coming models. 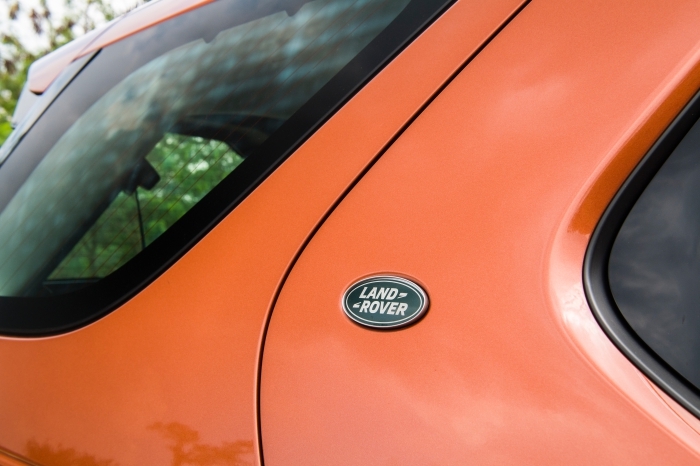 For what it’s worth, we love the earlier cars, and continue to run a Discovery 4 as family transport. With the 5, we realised that a lot of things we’d not thought twice about in the 4 had suddenly become automated. 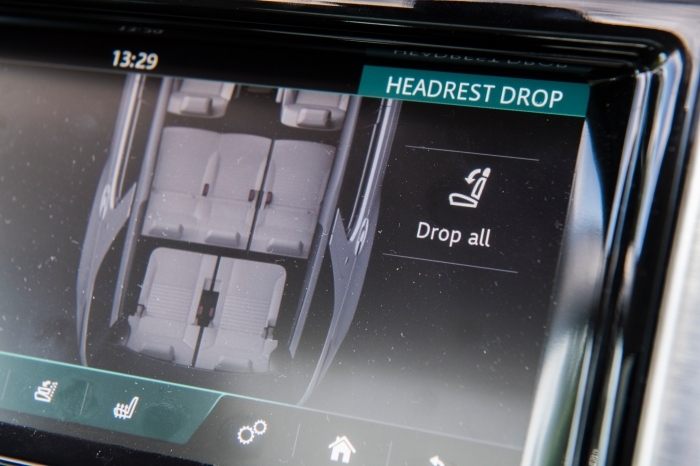 For instance, the flip-tumble of the second and third row seats can now be accomplished through the touchscreen display… all without the risks of bruising knuckles or breaking nails! It was never a chore before, and is even more convenient now, because there’s even an optional App that will let you do all that through the phone. 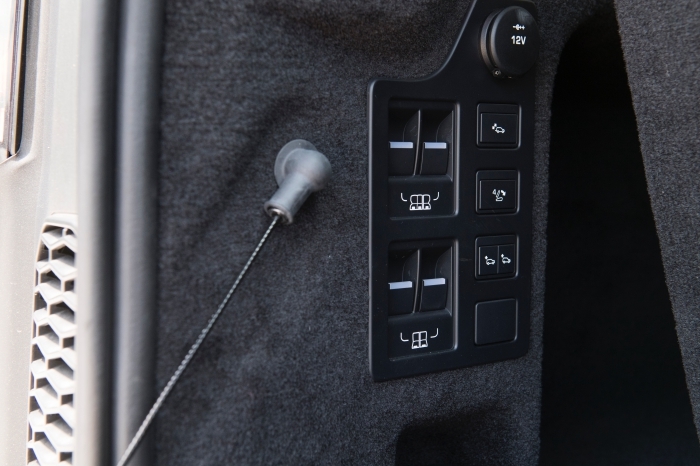 This means that you no longer have to wait till you get to the car to start the process of configuring the seats – it can be ready and waiting to accommodate your soccer kid, his friends and their muddy barang-barang. 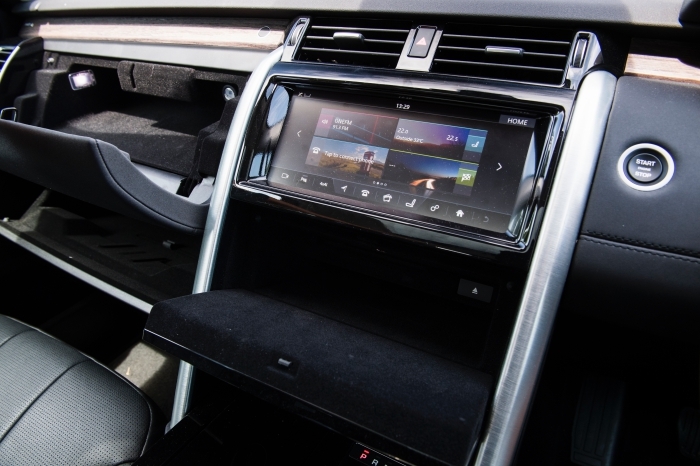 Think about it this way: something like the Disco will beat a path into the Great Outdoors so you can savour the Great Outdoors – is there really any point in breaking your back with manual seats, and possibly missing the most beautiful sunset of your life? 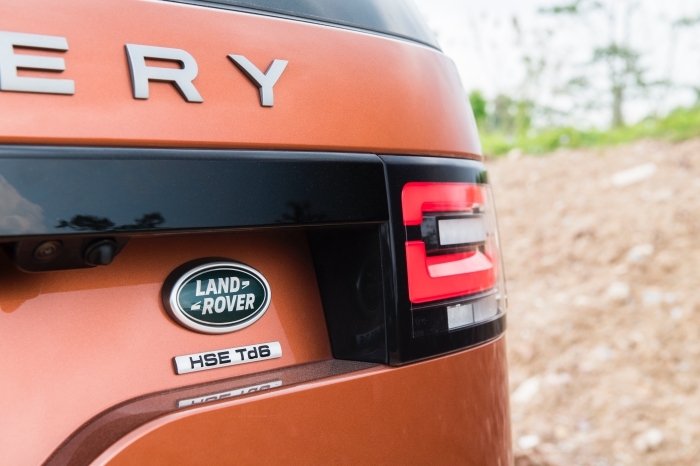 Old-timers will realise the 5 now features a single-piece tailgate, versus the split-opening one of its forebears that made it a doddle to transport extra long items. 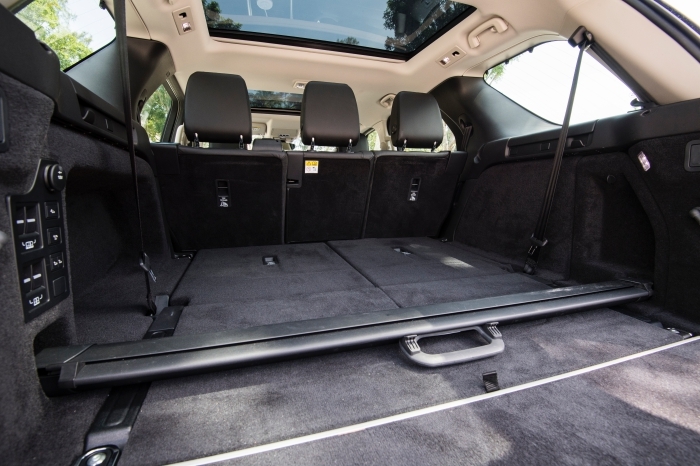 Moreover, the lower portion of the tailgate on the earlier models could be deployed to form a ‘picnic bench’ that could gamely cope with the weight of three adults. All’s not lost, because there’s an inner ledge that can fold out to double as the classic ‘picnic seat’, again, electronically. 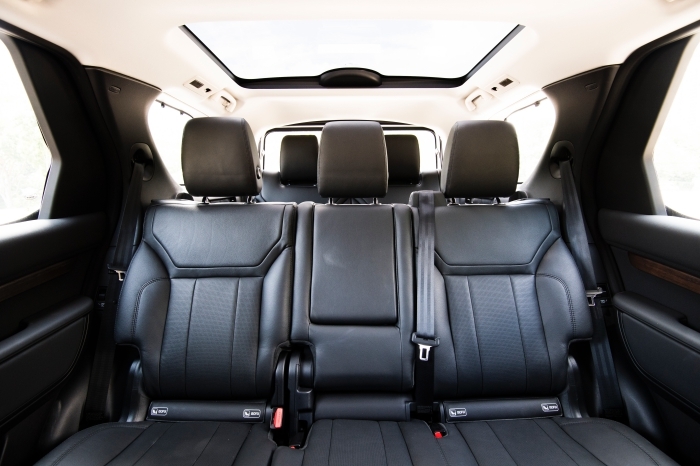 Considering the Discovery is intended to accommodate seven occupants and their gear, the cabin is sprinkled with little cubby-holes that will conceal your gadgets, snacks and travel documents for quick pit-stops to the restroom. 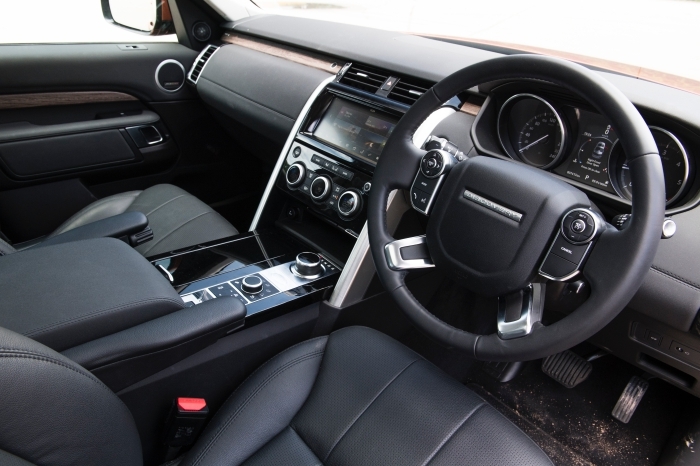 We understand that climate control for the third row is an option, so be sure to tick it because it’s essential for Singapore’s weather and the Discovery is big enough a vehicle that you’ll feel it without the third row vents. 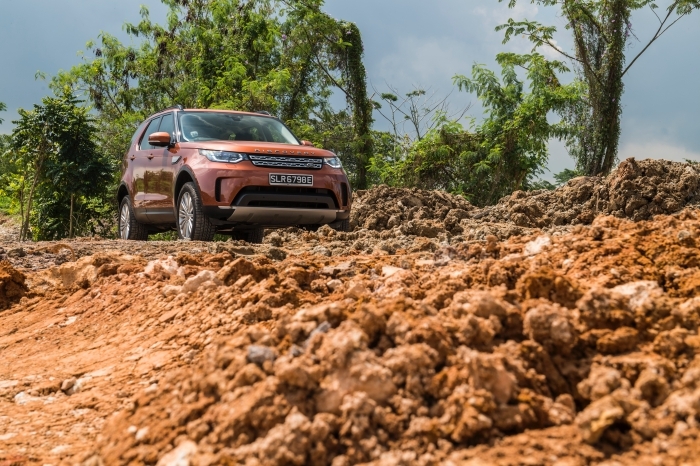 We’ve always maintained that such large off-roaders are best experienced in turbodiesel guises, and it’s no exception with the Discovery 5. 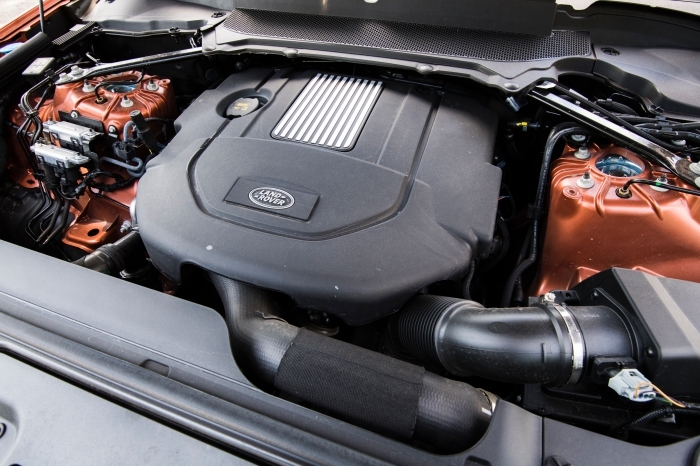 The turbodiesel’s big torque endows the 5 with the agility of a smaller car, and you’ll find the intervals between pump-fills to be satisfactory vis-a-vis a petrol equivalent. 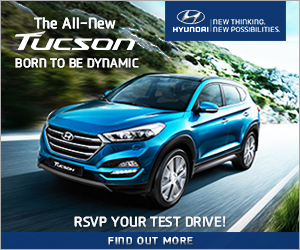 Low-end grunt is always preferred in start-stop traffic, and you’ll find the Disco wafting ahead of the pack from the traffic lights with no fanfare and drama. We traversed every type of terrain and driving condition the wilderness and concrete jungle had to offer, save a river crossing (which might be more relevant to Singapore than you think, given the huge floods from a few months ago), and the 5 shrugged off everything the world could throw its way without affecting the reverie of the occupants. 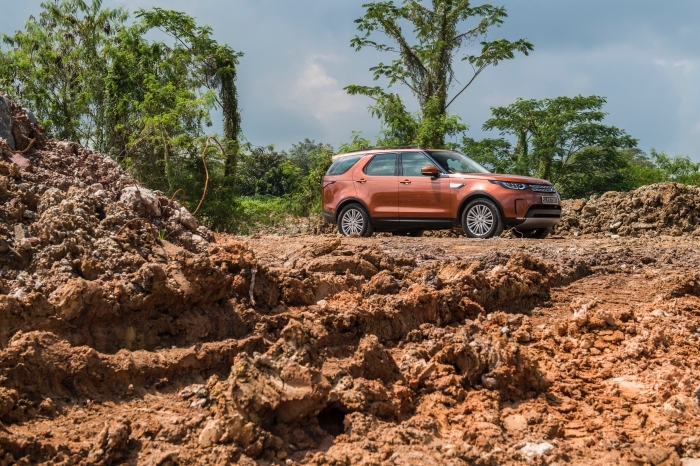 Land Rover may have upped the posh factor for its Discovery 5, and turned it wholesome blonde and blue-eyed, but we’re glad that you can still see the earthy tone in its roots, and that, for us, is the bright light at the end of the tunnel. 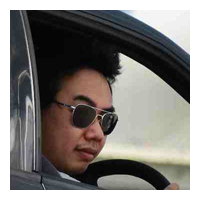 David is a big petrolhead who has been dabbling in the car trade since 2001 and currently oversees Top Gear Singapore. His stories often take an eclectic slant from the predictable, and he's able to craft a compelling read that lets you see the cars (often old!) in a new light.